On Saturday, on a very rare date night (the second since our toddler was born) my loving husband turned to me and said: "Oh my god it's just kinda hit me. How terrified you must be to know you've got to give birth again!" So this has basically inspired me to list a few top things NOT to say to a pregnant woman, be her your wife, girlfriend, friend, colleague or random woman on the bus. #1. "Are you scared? You must be terrified!" No I'm not scared. Some days I'm a bit nervous but giving birth is very natural. And look at all these mums around us, they've all done it! I'll be fine. Why must I be terrified? Have you heard horror stories from friends, your mum or auntie about childbirth? Or even seen some dramatically horrific birth on TV? I don't blame you for thinking that giving birth is terrifying if so. But there are 7.6 billion humans in the world, we all came from a mother giving birth. Yes there are some horror stories among many of those women, as there are horror stories about driving cars, flights and train journeys. As there are horror stories about skiing accidents and horseback riding and boiling the kettle. Sit down with me, let me explain something. The key here is FEAR. We know that if adrenaline, your fight or flight fear hormone, is high, it prohibits your body's natural pain relief hormone, your endorphins. We know that if Oxytocin, your 'Love hormone' is high (if the environment you're in while in labour is peaceful and relaxing) adrenaline will be low, endorphins high and mother and baby have a better outcome, often with shorter labours and a much more positive experience, probably with less medical intervention, a smoother breastfeeding journey and less risk of postnatal depression. So you see how this is a vicious circle? The more fear society breeds about childbirth, the more birthing mothers find themselves needing medical intervention, often leading to instrumental deliveries or emergency cesareans and adding one more "horror" story to the pile. So no, I'm not terrified, I'm not even scared. It's a right of passage that my mother experienced, and my nana, and her mother and hers before her! I'm looking forward to it and the best part is I get to meet my baby soon! If I was feeling really feeling brave...I'd say: "Try to be careful when chatting to pregnant women about birth - using words like terrifying and horror can be really upsetting. Tell her she's going to be amazing, smile and wish her luck if you like. 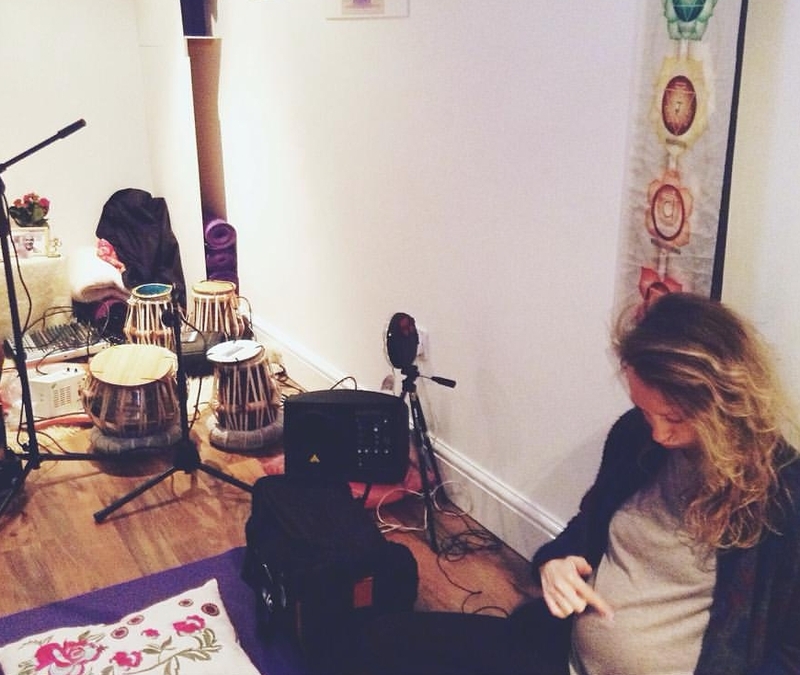 If you're reading this and you or your partner is pregnant and interested in Hypnobirthing, I frequently signpost my clients to a small handful of local (South London) KG Hypnobirthing teachers and midwives. So get in touch if you'd like some pointers! Check out the two super women (and new mums) of The Group Antenatal and Joelle (also a local midwife) at Body Birth and Babe. #2. You're pregnant?! Weren't you using protection?! Yep this has been said to me. Oh what a charmer! No, actually. What's your point? It's wonderful when little love babies are consciously conceived, but sometimes their souls come to us when we are not 'trying' to welcome them in. It is not your business what contraception couples use, when, why or how for that matter. If someone happily shares news with you that they are pregnant, just be happy for her! #3. Can I touch your belly? Step away from the bump! Wait for a pregnant woman to ask you if you'd like to see/touch/rub her belly. If you ask her directly it puts her in a bit of an uncomfortable position if she'd really like to keep her bump to herself, don't you think? 4) I bet you're hoping for a girl, right? I'd be happy with either actually! I'd love a daughter but I'd also love another beautiful boy and a brother for River. I really don't mind! Why would you think that? Is 'one of each' some kind of ideal family that I haven't heard about? Are you assuming I don't like boys because I am a woman, who works with women? If a mother only has boys, do you feel sorry for her? Or is it that you think I want what I don't have already? By asking me that, are you trying to set me up to state a preference that might to come true and then will you commiserate me? I'd love both a boy and girl, it didn't matter to me first time round and it doesn't now. Ah lovely, well that could be true I guess! We shall see! *Sigh* Yeh there are a lot of people telling me different things, based on a lot of old wives' tales. We don't actually want to know the gender of our baby, if we did we would have asked the sonographer to tell us so I'd probably rather you didn't tell me what you think I'm having either. (Especially when it comes with a side helping of: "You look glowing, it must be a boy because girls take all your beauty!") Charming! #6. EEK you're due soon. Let's hope she's not late! Yeh me too! I'm so excited to meet her now! Although, she won't be late she'll be right on time you know! You know that babies aren't ever 'late', right? Babies can be born healthily anytime between 35-44 weeks. Women are given a "Due Date" which should really be called a "Total Guess Date" because nobody knows when babies are 'due' and expecting them to arrive on a particular day causes such disappointment, feelings of failure and anxiety for waiting mothers. The average for women who have no sweep/vaginal exam or any induction at all is 41.5 weeks. That's not 'overdue' that's normal. Only 3% of women give birth on their 'guess date'. Only 70% of woman give birth within 10 days of their 'guess date'. Your EDD (Estimated Due Date) is calculated based on a 28-day menstruation cycle and assuming you ovulated on day 14. Let's reframe how we think about the duration of pregnancy. It could prevent a lot of worry and a lot of unnecessary medical intervention. #7. What a tiny bump! / What a huge bump! Are you having twins?! It's normal size, everything is fine actually / No, no I'm not, just the one in there! Thanks for the comment though! Everything is fine in there, thank you anyway. Commenting on the size or shape of a pregnant woman's bump can be quite damaging for her, did you know this? You don't know what fears or concerns for her baby she is working through and your throw-away comment might trigger her anxiety even more. Some mothers worry/are told their bump is too big and "won't fit out" (another post altogether) and some mothers are told their babies are too small and must be 'underweight'. It's just best to avoid commenting, because it just isn't your business. Growth scans at around 36 weeks are notoriously inaccurate and so often when I am supporting a mother as her Doula, she will call me feeling really upset after her last scan because they told her her baby is too big or too small. Almost in every case their babies are born as a normal size and all the worry (and negotiations about induction quite often) were unnecessary. I'd love to hear about things people have said to you during your pregnancy?! It's all pretty hilarious and the postnatal version of this blog is going to be even longer! But hey, guys listen, don't tread on eggshells or anything...it's just that being pregnant is a very emotionally and physically challenging, wonderful, incredibly joyous yet sometimes fragile stage of life and I write this as a protective Tiger Doula, mother, pregnant woman and pregnancy yoga teacher who has seen and heard a lot of the wrong words at the wrong time. So let's think carefully. Lucy is a Recognised Doula and member of Doula UK. She is certified by the worldwide Yoga Alliance for the 200 hours standard for Registered Yoga Schools (RYS).